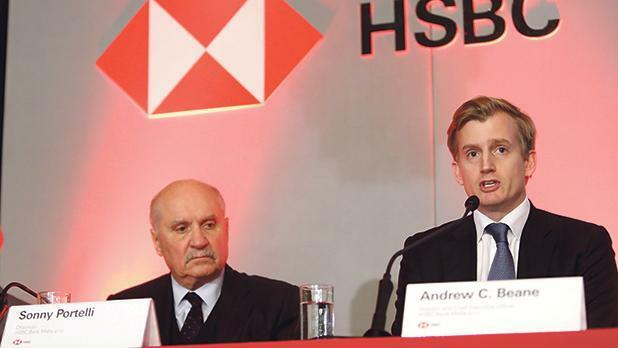 HSBC chairman Sonny Portelli (left) and CEO Andrew Beane. File photo. Sonny Portelli has asked to be replaced as HSBC chairman, after more than 12 years on the board, saying this would be in line with international best practice. Mr Portelli was re-appointed as chairman by the bank’s majority shareholder at the annual general meeting on Wednesday. He has agreed to stay on until his replacement has been identified and approved by the regulator. Andrew Beane, Christopher Davies, John Bonello, Michel Cordina and Yiannos Michaelides were appointed as directors by the majority shareholder, while the three persons nominated for election –Andrew Muscat, Gordon Cordina and Sue Vella – were automatically elected by the minority shareholders. With the exception of Mr Beane and Mr Cordina, all the directors are non-executive directors.